How do you handle this central pawn formation? In every game there is a center pawn formation of some kind. The chess position below is very common. Let's say, you have the black pieces. Look at the chess position below. White has build this pawn formation in the center. What are you going to do about it? You will encounter similar positions like this in chess. Look at the white pawn formation. Black has pursued a blocking strategy. He wants to stop the white pawn on e4 to advance. An advance of the e4-pawn would result in an increase in space and influence in the center for white and would chase away the defending knight at f6. 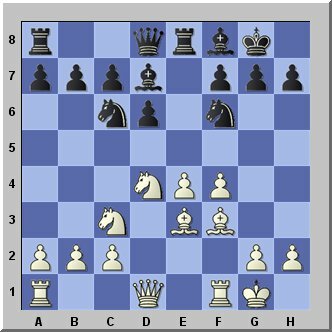 This might weaken the kingside and create possible attacking chances for white in the future. This situation is difficult to play for Black. You sit there like a duck, wondering what to do next once you have reached the optimal blocking position like this one above. On top of that you experience a feeling of constraint. Stay out of something like this. It would be much easier for you if you could kill the center pawn on e4 right away before it comes to the blocking position above. If you play the above chess opening (Scotch) in a more active way, (not playing d6) you reach the position above. 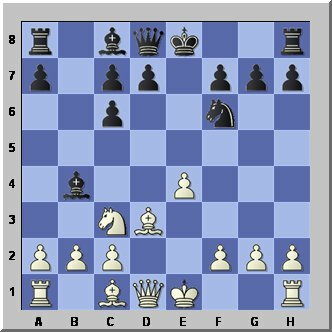 Here you can destroy the central pawn playing 1...d5! 2.exd cxd and that's it. You have a nice open game and the feeling of contraint is gone. 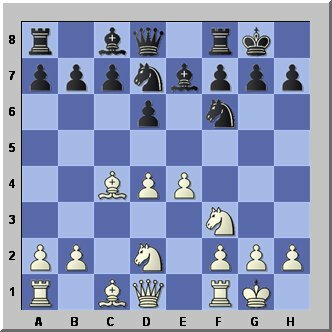 And here you destroy the center pawn on e4 by playing d5! Please replay those Central Pawn Games below!